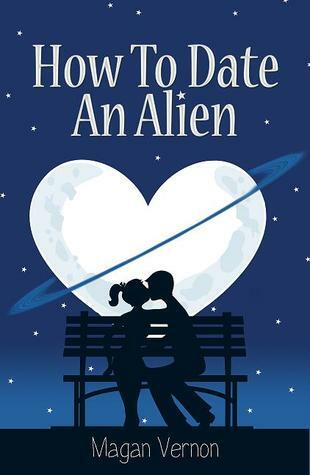 How to Date an Alien brings life, love, and lessons learned to readers of all ages. This young adult romance is cute and humorous making it an enjoyable read for any season. Alex Bianchi is the lovable character that always feels out of place and has a longing to be invisible. When the opportunity arises for her to intern at Circe with her father, the days of clinging to the shadows of anonymity are over. A military base with operations hidden under the surface, Alex stumbles into a world with rules and prejudices, and did I mention aliens? Alex is assigned to work with super-hot Caltian alien Ace, the very alien who saves her at every and any opportunity. Too bad human-alien relationships are frowned upon by humans and aliens alike. How to Date an Alien is very romantic as it focuses on Alex and Ace sorting out their feelings for one another and standing together in the face of opposition. The romance is cute without being fluffy or sappy, which is a very big plus. It's easy to see how much Alex changes while interning at Circe. It becomes easier for her to voice her concerns, and talk about what she wants for her future, as she feels more comfortable at Circe. In a way, Alex seems to find herself among the hordes of aliens from different universes. There's more than just a romance story between the pages of How to Date an Alien. There's adrenaline fueled action, though not very heavy and only towards the ending, but it's enough to know that this is a well-rounded story. Alex definitely has to make a few tough calls that will affect her future somehow. It's a little daunting because she's only in high school, but with Ace the future looks less murky for Alex. Alex and Ace's story continues in How to Break Up with An Alien. There are so many questions dancing around that title, but surely the humor and fun won't stop! Add How to Date an Alien on Goodreads.